It seems not so long ago that Canadian exporters were considering how the business landscape would change without the North America Free Trade Agreement (NAFTA). Fortunately, that scenario hasn’t played out and a new trade agreement, the Canada-United States-Mexico Agreement (CUSMA) was reached. For export sensitive sectors, this was especially welcome news, but CUSMA, and other trade agreements like it, are not an end-point, more accurately, it’s a foundation for Canadian exporters to access new markets or grow existing business relations. It goes without saying that for Canada to reap the advantages of free trade, we need to have a healthy business environment at home, one that fosters investment through minimizing risks and uncertainty, coupled with modern and agile regulations that balance public and environmental interests with business objectives. Take Canada’s fish and seafood sector for example. 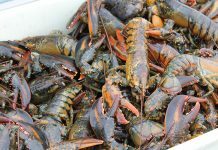 The seafood industry is the most export sensitive sector in the Canadian food manufacturing sector with almost 80 per cent of production destined for foreign markets. In 2017, the sector accounted for $7 billion in exports, with 63 per cent of exports destined for the United States, followed by China (14 per cent), the European Union (seven per cent) and Japan (five per cent). 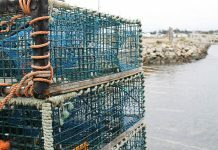 Global population growth and increased per capita consumption of seafood combined with market access agreements like CUSMA, the Comprehensive Economic Trade Agreement (CETA) with the European Union and the Comprehensive and Progressive Agreement for the Trans-Pacific Partnership bode well for Canada’s fisheries. 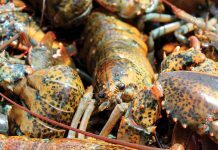 Other advantages have Canadian seafood producers primed for growth, such as a favourable international brand; a global leader in international certification and high food safety and labour standards. 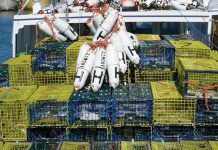 However, these advantages have not translated into investment, because of uncertainty with regards to access to fisheries and a regulatory environment that has not kept pace with a rapidly changing world. 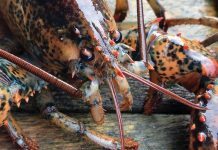 Competition in the global seafood industry is fierce. Not less than 25 years ago, Canada was the world’s largest fish and seafood exporting country, now we’re eighth. Our goal at the Fisheries Council of Canada is to return to a top five position in the global seafood market. 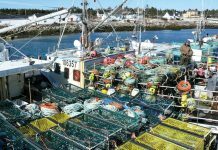 So, what can be done to get there and to ensure that Canada’s fish and seafood sector does its part to achieve the Government of Canada’s target to increase agri-food and seafood exports to $75 billion by 2025? Or even the Agri-Food Economic Strategy Table’s goal of $85 billion? For starters, we applaud the Government of Canada for its laudable success to create new markets for Canadian seafood. We also strongly support recent investments in fisheries science, which are the foundation for developing accurate stock assessments and good fisheries management practices. Commitments made in the Fall Economic Statement to launch an Annual Regulatory Modernization Bill, make changes to the Red Tape Reduction Act, as well as implement measures to better align our regulations with key trading partners are also positive developments. Finally, we also welcome a recent announcement by the Minister of Fisheries and Oceans to invest in promoting and branding the industry to international customers through the Canadian Fish and Seafood Opportunities Fund. 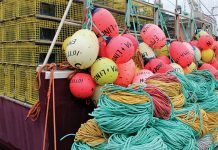 But competing to win requires additional cooperation with government to ensure that Canada’s fisheries have stable access to the resource. 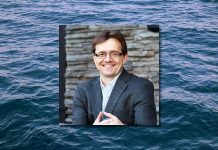 Policy decisions with regards to reconciliation and setting aside vast percentages of Canada’s marine areas from any harvesting were implemented in a manner that failed to adequately weigh the disruption caused to commercial fisheries. Take reconciliation for example — while the decision to reallocate 25 per cent of the Arctic surf clam fishery without compensation to the incumbent was cancelled after public outcry — it has created a chill within the sector and affected the willingness of companies to invest and lenders to provide financing for investments in research, development and innovation that are required to maximize the value of what we currently harvest. To restore confidence, we believe that voluntary measures based on a willing-buyer, willing-seller model are the best path forward to achieve reconciliation goals. 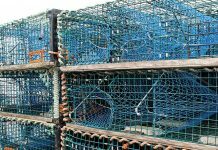 By working collaboratively with the fishing industry, the Canadian government can continue to effectively manage Canada’s fisheries resources, protect its marine environment, and sustainably grow its vital seafood industry. To help achieve these goals, the Fisheries Council of Canada looks forward to ongoing engagement with the Minister of Fisheries and Oceans, other Parliamentarians and the government more broadly, in 2019 and beyond.